Our extensive experience in the underwater, air and survey management fields has shown us that there is a need for integrated unmanned air and sea solutions. Costs can be decreased, human safety can be increased and time to completion can be reduced. Here a just a few potential scenarios where the Air & Sea integrated concept could be utilized, from fire fighting and humanitarian aid to border protection and polar research. MISSION: Acquire a complete overview of the extent of the forest fire. Determine if there are people at risk who need to be evacuated. Transmit realtime information to firefighting personnel and assist in blaze suppression. MISSION: Visit the seabeds of the North Pole in search of the effects of climate change. MISSION: Air & Sea drones can detect, document and even participate in cleanup of environmental situations even in unaccessible locations. MISSION: Anticipating and documenting risks before they become threats has always been a success factor in human safety operations. An air drone can continuously identify and track targets without landing for refuel. MISSION: Provide real relief without risk to personnel utilising a capacity to carry 1000 kg of food, water, medicine and shelter. 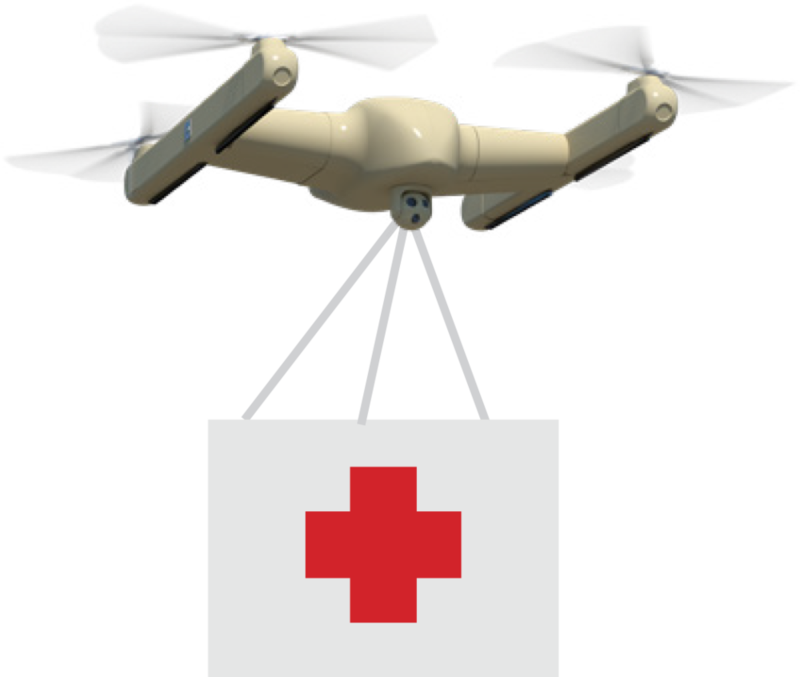 For critical situations, our air drones can even be used for evacuation.